This gallery contains just a small portion of the many pet casts we have created over the years - including dog paw casts and prints, dog nose casts, cat paws and nose casts, fish, sea turtles, lizards, frogs, tortoises, wildlife such as shrews and weasels, exotic and endangered animals such as elephants (skin and feet casts), lion, leopard and tiger paws, monkey hands and feet and more. You are not limited by the finishes, styles and poses you see in this gallery. Our aim is to create your dream cast that is perfect for you, your family and the home in which the sculpture will be displayed, so feel free to come to us with your ideas. For a comparison between different popular material finishes, click here. For a general PRICE GUIDE of our most popular poses and finishes, scroll down to the bottom of the page. The British are renowned worldwide for being animal lovers. To some of us, our pets are important family members. To others, they remain loyal companions, greeting us when we come in and reminding us that we are loved. Pets and working animals can be with us for just a few short years, so why not honour and immortalise this precious relationship in lasting sculpture? 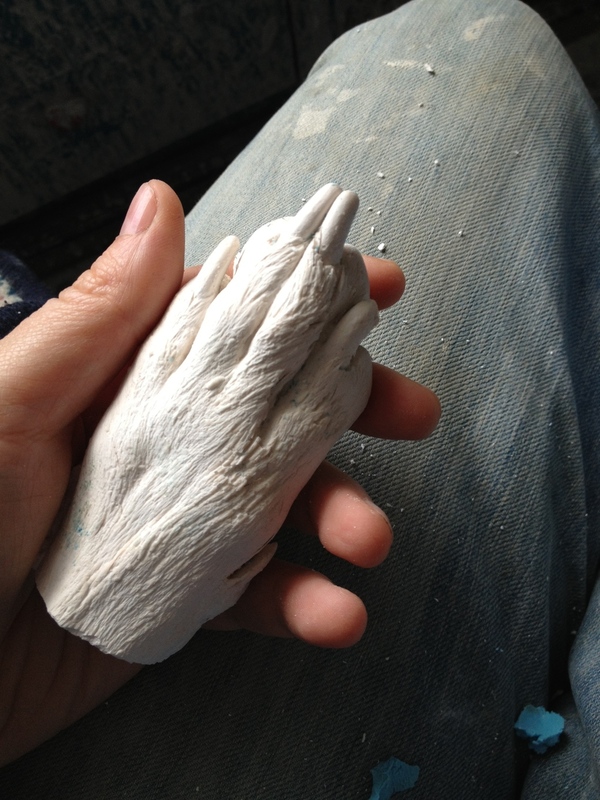 We cast dog and cat paws, and can arrange casting sessions for larger animals in zoos and on farms. If you have to make the painfully hard decision to have a pet put to sleep, we can sometimes arrange to cast your pet beforehand or prior to burial if you are local. 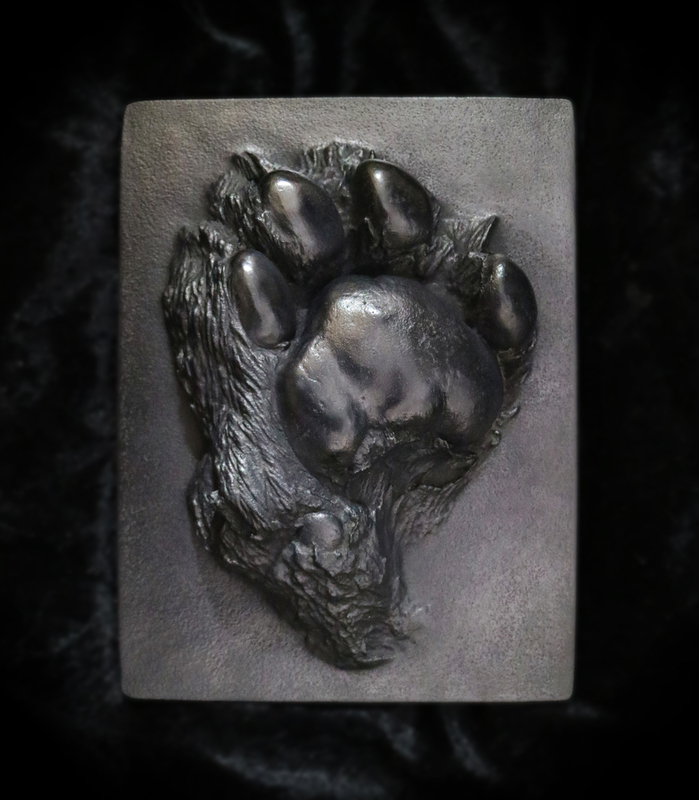 You can book our private casting sessions for your own pet - producing either a 3d freestanding lifecast of your animal or a paw/hoof imprint or outprint in a frame or on a plaque or stand. Casts can be produced in gypsum, plain white or coloured/metallic, or reproduced in cold cast bronze, lead crystal glass, real bronze or even pewter. You can even be cast holding your pet's paw, although this will usually require two separate visits. 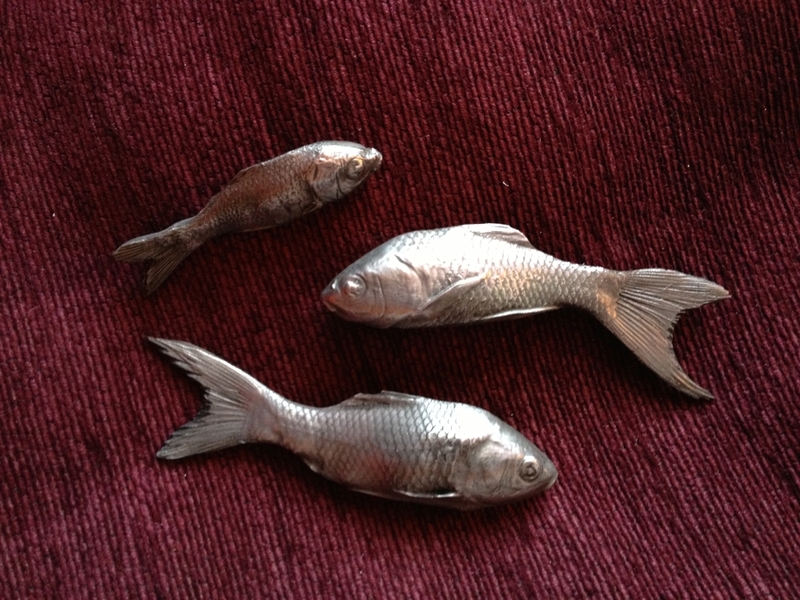 For a more practical and fun application of a pet casting, why not have yours turned into a decorative dog hook lead, key ring, paper weight or book end? We accept all kinds of requests and love being challenged by your unusual ideas. We have cast everything from a tiny but beloved dead pet goldfish, guinea pig footprints, police dogs... right up to live elephants and anaesthetised tigers for Andre's Endangered Species Collection for our sister company Masters & Munn and in collaboration with the WWF, Woburn Safari Park, Chessington World of Adventures and the Maidstone Museum. For more details of these gorgeous casts of rare and endangered animals (taken when they were undergoing routine dental treatment and anaesthetised) please visit our fine art site. The Endangered Species Collection of animal casts was created to bring tactile teaching aids about the wilder side of the animal kingdom to blind and partially sighted children and is an entirely self-funded project. If you would like to donate towards the costs of creating further exhibits for this collection, please give what you can by clicking the button below. For those considering a pet or animal cast, please read our FAQ on the topic and get in touch with any questions or ideas you may have. We absolutely love working with animals and make sure no animal is harmed during the lifecasting process. And remember we sell gift vouchers and gift packages which can be sent digitally as well as by post if you have left your present-buying a bit late in the day. Studio appointments are available for living pets but we can sometimes accommodate deceased pets on the day of death if you are able to bring them to us. Visits are by appointment only, and please read our pet casting FAQ for further information. Please note, the following prices do NOT include a callout fee to a home or vet to cast deceased dogs. Callout charges can add substantially to the costs, so please email or call for details giving us your location which will help us to determine if there will be additional costs. Paw cast (plain white gypsum, freestanding), small - medium dog - £90 each, £160 a pair, or £300 for four. Paw cast (plain white gypsum, freestanding), medium - large dog - £100 each, £180 a pair, or £350 for four. Paw cast (plain white gypsum, freestanding), extra large dog - £120 each, £210 a pair, or £400 for four. Nose cast (shallow cast on living pet) from £35, (deeper cast on deceased pet) from £65 not including callout charge. 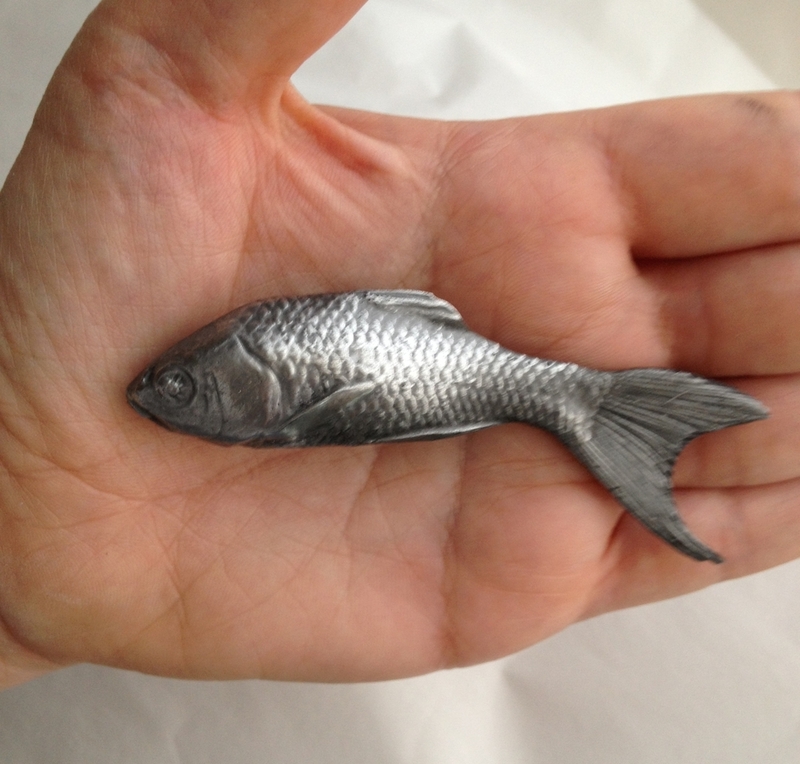 For a more detailed price guide to decorative, framed, mounted or re-purposed casts (for example dog lead hooks, keyrings, etc), or other material upgrades such as cold cast metals, resins, glass, foundry cast bronze or pewter CLICK HERE. To book or ask any questions you may have, please click the button below.